LeBron is still “the best player in the world” but in GM6 of the NBA Finals, the Warriors showed why they are the best team in the world and why they are the 2015 NBA Champions. Steph Curry scored 25 points and dished out 8 assists. Draymond Green racked up the 5th triple-double in franchise history with 16, 11 and 10. Festus Ezeli was huge off the bench with 10 points in 11 minutes. 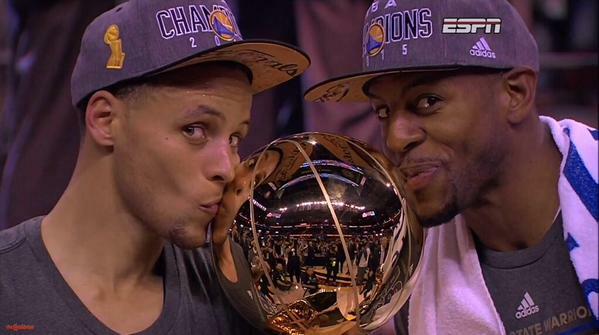 And Andre Iguodala, who never started a game during the regular season, scored 25 and won the NBA Finals MVP! The Warriors were so great as a team they never played Bogut or Speights, only played David Lee 1 minute and won while only getting 5 points from Klay Thompson.